Why is the 2019 Jeep Grand Cherokee Perfect for the People of Evergreen Park, IL? 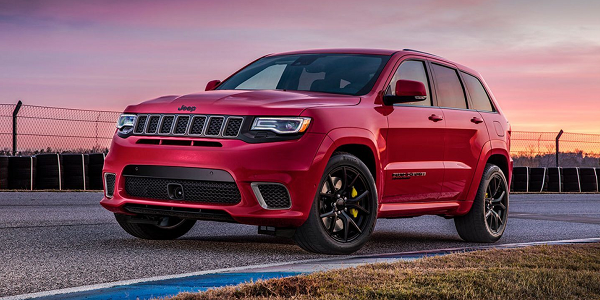 The 2019 Jeep Grand Cherokee is one of the hottest SUV’s to hit the market this year and one of the best value for money. If the residents of Evergreen Park, IL, are after an SUV that is stylish and has the impressive driving performance they need not look any further. Under the hood, it boasts an impressive 3.6L V6 gasoline engine and an 8-speed automatic transmission. If you and your family are looking both for performance and fuel efficiency the 2019 Jeep Grand Cherokee will get 25 miles to the gallon on the highway and 18 in the city. There is a range of additional options you can add on to the base model such as a rear DVD entertainment system to keep the kids quiet during long journeys as well as upgrading the audio system to a 9 amp speaker setup complimented with a centralized subwoofer. 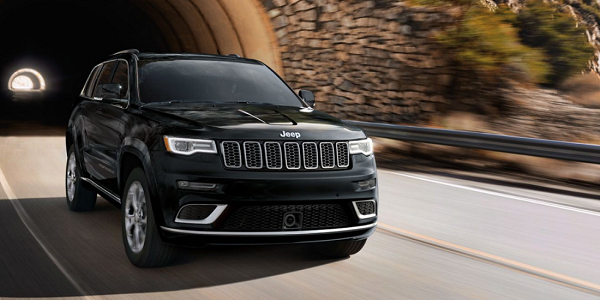 The 2019 Jeep Grand Cherokee offers an impressive performance with enough room for 5 people, you can drive your whole family around Evergreen Park, IL. It has a 3.6L 6 cylinder engine producing 295 horsepower. This comes with an 8-speed automatic transmission. As mentioned the fuel efficiency is reasonable with you being able to get 18 if you’re driving through Evergreen Park, IL, and 25 if you’re further afield on the highway. The car comes with rear wheel drive and both front and rear suspension. When it comes to being in control when you’re driving you’ll be happy to know that it comes as standard with traction and stability control. The inside of the 2019 Jeep Grand Cherokee has a sense of style and luxury with all the seats being covered in leather upholstery and a choice of black or beige interior. If you want to recline the back seats you’ll find it provides ample cargo room if you’re moving stuff around Evergreen Park, IL, with 63.9 cubes of space being made vacant. Both the driver and passenger have knee, front and side airbags in case of a collision. You’ll also get cruise and climate control with options to change and alter these features on the steering wheel as well as the wheel itself being heated to help during the cold winter months. You’ll get a range of technology as standard with the 2019 Jeep Grand Cherokee including a 6 speaker audio system, with an option to upgrade this to a 9 speaker system with a subwoofer to compliment for an extra cost. It comes with a 7” UConnect tablet in the front complete with satellite navigation. Another optional extra for the families of Evergreen Park, IL, is a rear DVD entertainment center to keep the kids occupied during the long cross-state journeys. 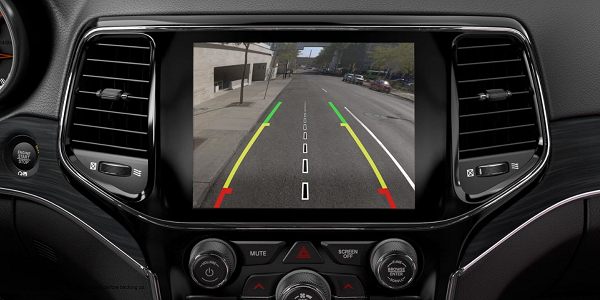 You’ll also get rear parking sensors and a rearview camera which can assist you when parallel parking into a tight spot. If you need to charge your phone up there is a 12V power outlet with USB output in the center console between the driver and passenger. The outside of the 2019 Jeep Grand Cherokee has both turn signaling and heated wing mirrors perfect for the winter months. A power sunroof in-between the front and rear seats as well as all-season tires meaning it can handle any terrain. There is also a spare tire mounted on the inside of the vehicle. Why Buy From a New Jeep Grand Cherokee from Mancari’s near Evergreen Park, IL? Here at Mancari’s CDJR we believe we are the number one choice for the people of Evergreen Park, IL, as not only do we provide the best prices to customers on a wide range of the hottest vehicles but we also have a team of experienced staff on hand to answer any questions you might have about the purchase process or the vehicle. When you’ve driven away our help doesn’t stop there with us offering a range of warranties as standard with your vehicle in case of any unfortunate event, and if anything does happen just pop into our service center and our trained mechanics can take a look and resolve the issue for you.